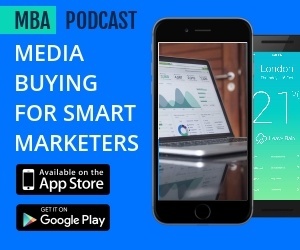 I have been using the Media Buyer Association, really looking at the lowest common denominator of media buyer, which is pretty much, “I’ve never bought traffic in my life. I’m terrified of buying traffic.” And because of that, we’ve had it dumbed down for way too long. As of today, we are no longer going to see the dumbed-down content. You’re going to see more advanced content. I will tell you, I am totally prepared to lose a number of visitors, in this case a number of MBA members. But if you want beginner content, this is no longer going to be the place for it. With that said, let’s go ahead and jump in today’s webinar. We’re going to really be talking about the best practice for what’s called onsite, or- exit intent would really be another use, but the actual term is onsite remarketing.